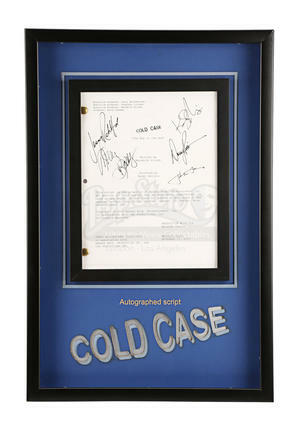 An autographed production-used script display from the American police television series Cold Case. The series focuses on Lilly Rush (Kathryn Morris) a lone female detective within the Philadelphia Police Department’s homicide squad who specialises in solving crimes that were committed years ago and were never solved. This script belonged to the fourteenth episode of the first series titled 'The Boy in the Box' where the team investigate the death of 6-year-old boy who was discovered wrapped inside a box in the 1950’s. 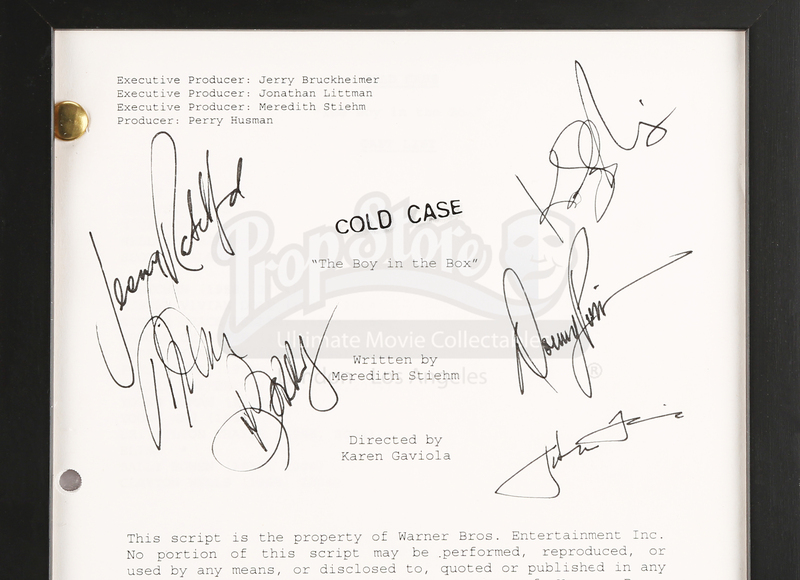 Printed on white A4 paper, the script is credited to Meredith Steihm and is dated November 11th, 2003. 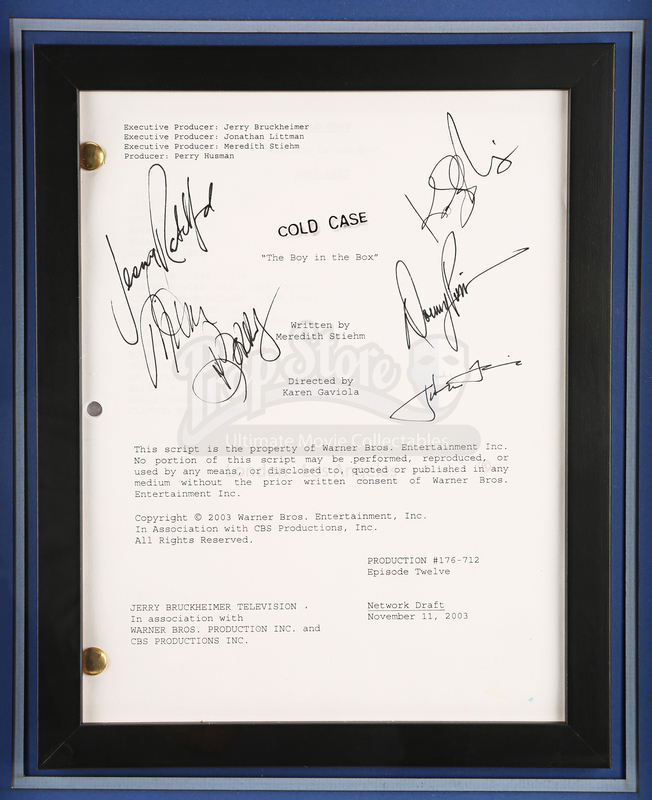 Bound together with two brass pins, the cover page has been signed in black pen by various cast members including Kathryn Morris, John Finn, Jeremy Ratchford, Thom Barry and Danny Pino. 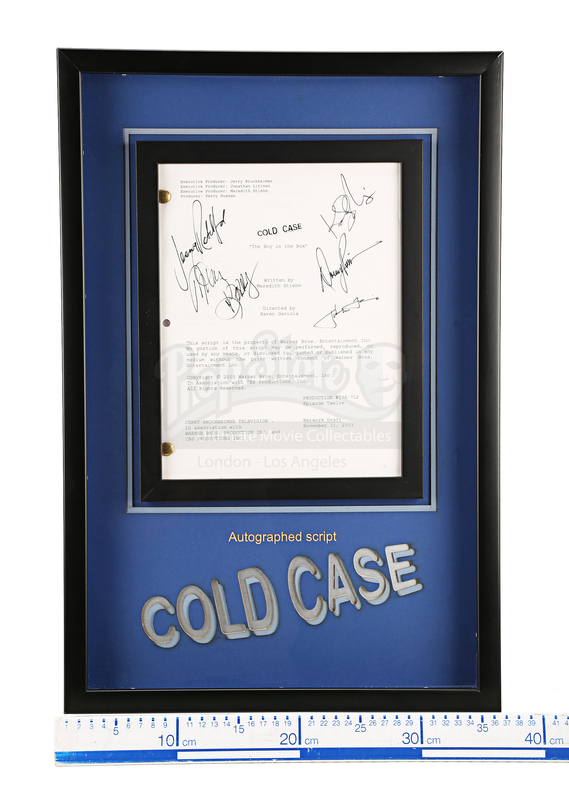 The script comes in a custom-made display within a black frame, with the title of the film featuring on a laser cut mount board. 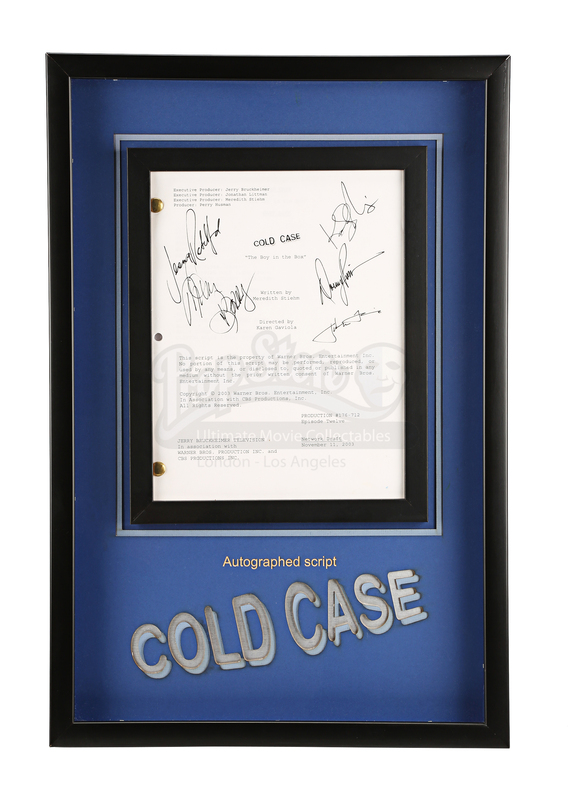 The frame of the display shows minor damage, but the script remains in overall very good condition. Materials: Paper, Ferrous Metals, Wood, Acrylic.